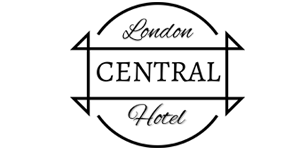 Central Hotel London is a family owned hotel. Meet Emmanual and Arthur. We human beings are all different, yet we all have many common desires and needs. We all come from different backgrounds, different countries and we all have different requirements. We are all unique in our own beautiful way. Our goal is to make our friends (guests) feel like they are home when they are sleeping and a passionate tourist when they are exploring the city”. Hey, do you want to receive monthly updates with tips and new places to discover in London? Subscribe below.